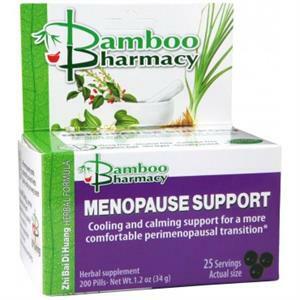 Harmonizing and cooling, Menopause Support reduces excess sweating, irritability, and night sweats while alleviating overall dryness, thus improving sleep cycles. The 400 year-old formula, Zhi Bai Di Huang Wan, inspiring our Menopause Support includes Chinese yam, peony and cornelian cherries blended with other nourishing Chinese herbs to help you stay comfortable and positive during this life change. Dosage: Take 8 pills 3 times daily as needed or as directed by your health care practitioner. Suitable for long-term use.